Let us help you & your pet succeed together! 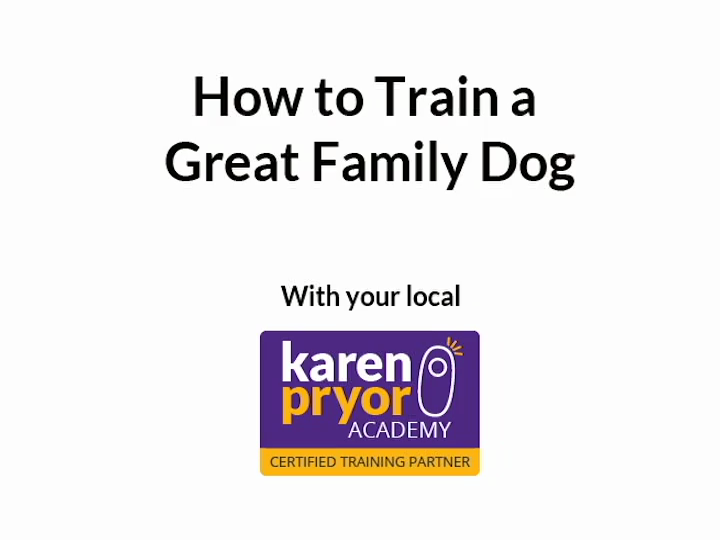 Whether it's socialising your puppy, teaching your pet everyday manners, prevention or modification of behavioural problems, just for fun or any other reason, great training improves the relationship you have with your pet. With this in mind, we aim to make the journey part of the destination, helping you to improve your bond with, & understanding of, your pet, whilst having fun at the same time! We encourage each pet & owner team to learn at a pace that suits them, acknowledging & respecting each’s individuality, & tailoring teaching to your specific needs. Our modern way of life can sometimes be tough on pets - we want them to be well-behaved, fun & interactive when we have time for them, but expect them to "be good” when we're out, busy, tired, not in the mood, etc. No wonder we sometimes have a culture clash! Let’s make it fair for our best friends - Inspiring Pet Teaching will help you learn great communication skills, build strong bonds & teach pets what we want them to be able to do, with training that is enjoyable for you both. At Inspiring Pet Teaching we Like TO make it personal! we provide training skills for the mutual benefit of both humans & animals in a relaxed & supportive learning environment We hope You'll love. Aggressive, Aggression, bite, Biting, Unruly, Dog bite, Manners, Fireworks, Fear, Phobia, Kennel, Crate, house training, sit, recall, dog tricks, dog whisperer, dog listener, registration, form, jumping up, volunteer, First do no harm, children, parents , kids, education, dog bite, your dog, my dog, train, training, class, fun, old dog new tricks, under-stimulated, pent-up energy, dog, dogs, paws, training with your dog, confidence, focus, behaviour, dog behaviour, obedience, dog sports, doggie, doggy, older dogs, classes, arthritis, fun tricks, Kitty clinics, Agility, Rally-o, rally, cystitis, FLUTD, multi-cat household, cat, your cat, my cat, cat behaviour, litter tray, spraying, feline friend, Dog Trainer, Karen Pryor, animal, force-free, operant conditioning , training, Behavior, pet care, Force free, Pet professional, Socialisation, socialization, Puppy, Puppies, puppys, child safety, punishment, positive reinforcement, positive, aversive, punitive methods, coercion, Clicker training, click, clicker, human-animal bond, lifelong learning, vet, veterinary referral, New Forest, Godshill, Fordingbridge, Cranbourne, Marchwood, Eling, Downton, Verwood, Ringwood, Lyndhurst, Cadnam, Brockenhurst, Christchurch, Burley, Lymington, Sway, Bransgore, Beaulieu, Romsey, Hythe, Ashurst, Totton, Salisbury, Hampshire, Hants, Wiltshire, Dorset, UK, England, Veterinary nurse, VN, Linda, weight loss, obesity, speak dog, behaviour management , misunderstood, behavioural health, nursing, welfare, animal training & behaviour management, teacher, teaching, small animal, owners, owner, collar, lead, treats, Educational seminars, BAT, behavior adjustment training, Grisha Stewart, CU, control unleashed, Leslie McDevitt, bird training, exotic pet training, small pet, small furry, small furries, livestock training, rabbit, cat, rat, pulling on lead, parrot, cage bird, dog show, show, showing, training tips, training advice, cognition, running away, won’t come back, rescue, fear, fearful dog, emotion, scared, attack, dog fight, Pawsitive, academy, Victoria Stillwell, Positively, APDT, APBC, ABTC, COAPE. We offer both private & group lessons. We up-to-date & effective training that is kind & fair to your pet. And fun too!